Save 10% on Koncept Lighting exclusively at Lightology.com with a minimum $200 purchase March 1-31. Koncept Lighting’s award-winning LED lighting fixtures like the Equo, Z-Bar and Mosso helped pioneer the LED movement and are constantly improving with the latest technology. 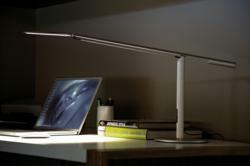 The Equo LED Desk Lamp has earned the coveted Red Dot Design Award. Using LED technology paired with sleek design and feather-light adjustability, Koncept fixtures are used in trend-setting interior designs and have earned recognition for excellence in both design and energy efficiency. Lightology.com, the largest online retailer of contemporary lighting is offering an exclusive sale on all Koncept Lighting fixtures from March 1-31, 2012. Save and additional 10% on LED desk lamps, floor lamps and undercabinet LED lighting with a minimum $200 Koncept Lighting purchase. Using LED lighting technology paired with sleek design and feather-light adjustability, Koncept fixtures are used in trend-setting interior designs and have earned recognition for excellence in both design and energy efficiency. See the Koncept Lighting VIDEO that shows these fixtures in action. 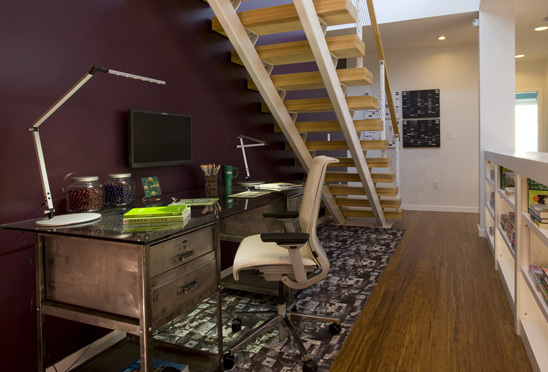 The Equo™ desk and floor lamps use a counterweight design that requires only one finger to adjust its position. The special neck joint maintains the head's tilt as the arm swings up or down, while brightness is controlled by sliding or touching a finger along the touchstrip. To date, it has earned 10 awards, including the coveted Red Dot Award for design excellence in 2011. The Koncept Lighting flagship series, Z-Bar™, is super-adjustable, with a three-bar design that can spin in its socket, sweep side to side and rotate around the end of the arm to point in any direction. Various versions of the Z-bar are featured in the Chicago Museum of Sciences Smart Home, numerous movies and TV shows and at McDonalds headquarters in Australia. The Z-bar has also earned recognition from publications such as the International Design Magazine and Time Magazine. The Mosso™ Desk Lamp features the latest in LEDs and an LED head that not only swivels up and down, but also twirls a full 360 degrees, making it super easy to bring energy efficient, dimmable, natural looking light right wherever it’s needed. Visit Lightology.com to take advantage of this exclusive offer of 10% OFF Koncept Lighting and browse the largest online selection of contemporary lighting. With over 27 years experience in the lighting industry, Lightology’s web site and 20,000 sq. foot contemporary showroom in Chicago offer you unmatched technical knowledge, accredited customer service, the highest quality and latest trends in contemporary lighting. Koncept Lighting was used in the Chicago Museum of Sciences Smart Home The Z-Bar LED series comes in many different versions to suit any application. 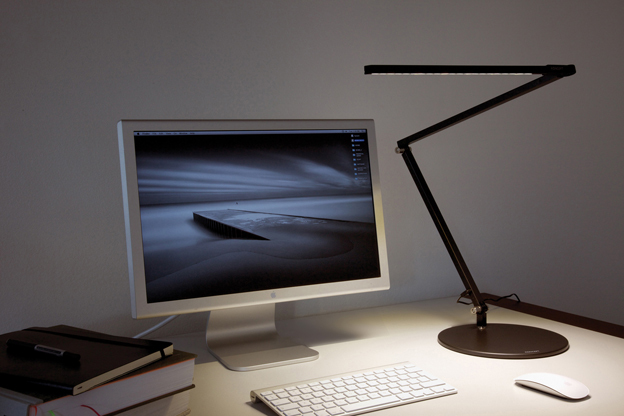 The Mosso LED Lamp comes in desk, wall mount and desk clamp versions.